Nottingham Business School (NBS) is to deliver a new degree-level apprenticeship in management which has been given the green light by the Department of Business, Innovation and Skills. Nottingham Business School is to deliver a new degree-level apprenticeship in management which has been given the green light by the Department for Business, Innovation and Skills. The Chartered Manager Degree Apprenticeship has been developed by a group of employers and universities, including Nottingham Trent University, and is aimed at boosting the number of professional managers in the UK and at driving productivity and business growth. Under the scheme, employees who complete the apprenticeship will earn a degree in management and business, and become a Chartered Manager and member of the Chartered Management Institute (CMI). The apprenticeship, which will take an employee around three to four years to complete, will be provided by their employer in partnership with a university or business school, such as Nottingham Business School. It will be delivered in-company through work-based projects and will include university study time. The scheme is aimed at school leavers as an alternative to a traditional degree course with the employee earning a full time salary throughout their training and studies. Once qualified, they will be ready for managerial roles with operational responsibilities. This is seen as the future of business education by the government. The Chartered Manager Degree Apprenticeship is one of a series of new degree-level apprenticeships that the Government has asked business to develop under its Trailblazer programme to meet the future needs of the UK economy. Led by services company, Serco, the group of employers and universities worked with CMI and the Chartered Association of Business Schools to identify, consult on and develop the standards that are required for the apprenticeship. 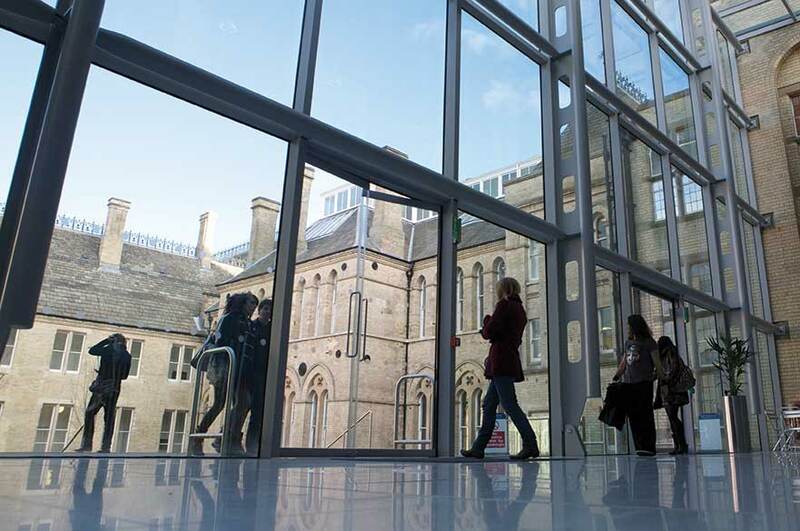 Dean of Nottingham Business School, Professor Baback Yazdani, said: "We are one of only a small group of universities to be delivering this programme, which is seen as the future of business education by the government. At NBS we understand what businesses need and tailoring education to suit both the aspirations of students and the requirements of industry is the best way to produce graduates who have a real impact on UK productivity and economic growth." Increasing the number of people who understand how to lead and manage people is essential to the UK's future. Nick Boles, Skills Minister, said: "Increasing the number of people who understand how to lead and manage people is essential to the UK’s future. This Degree Apprenticeship will equip people starting their careers with the leadership and management skills needed to rise to the top and shape the future of UK industry." Anne Kiem, Chief Executive of the Chartered Association of Business Schools, added: "A critical factor in productivity is good management. The Chartered Manager Apprenticeship is a great opportunity for employers to develop a new generation of managers equipped to drive their businesses, and address the UK’s productivity crisis for years to come. Our business schools are looking forward to working with employers and their apprentices to provide access to a world class management education with relevant and applied on-the-job training." Companies interested in getting involved with the programme are invited to email Nottingham Business School for further information.